From muddy boots and spilt groceries to wet dogs and household waste, there are many things which could potentially ruin the vulnerable boot area of your car. However, you can save yourself a lot of trouble, and expense, by fitting one of our hardwearing Boot Mats. As they are manufactured to the precise interior dimensions of your particular vehicle, you can be sure the fit will be perfect – with no cutting required and none of those annoying gaps you get with universal-style boot mats. 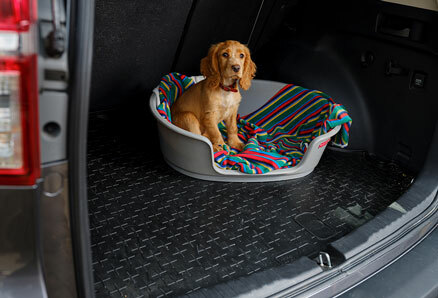 The Travall Boot Mat Liner has been designed specifically to fit each vehicle to ensure a safe and secure fit whilst travelling. Main features of the Travall boot mat include a solid rubber construction offering improved flexibility and rigidity, anti slip design and a unique lip design for anti-spill usually only available with a boot liner. With the Travall boot mat other design features include a custom compound with impregnated Vanilla scents to keep a clean fresh smell to the vehicle and integration of existing fixing points and lashing points. 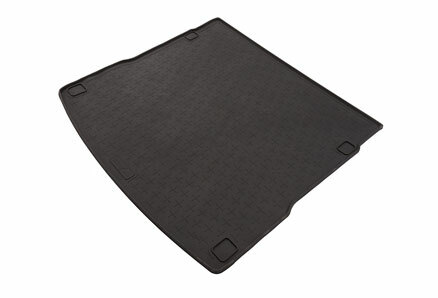 The boot mat also offers reduced road noise when travelling with the vehicles parcel shelf removed. All products of Travall are designed for the individual to install and remove. This is the core consideration with all products available from Travall. The boot mat is no exception, because the boot mat is designed for each and every vehicle application, no vehicle modification is required at all. Also no cutting is required when used in combination with our dog guard and our divider. Easily installs in seconds and can be washed down and placed back into the vehicle. All of the boot mats are designed to work in combination with the Travall dog guard and divider program. The current aftermarket mats do not normally take into account the existing fixings available in your vehicle which means that lashing loops and fixing points can be hidden by inferior products. The Travall design of car mats always utilizes and incorporates these unique vehicle features eliminating the need to cut. Also with the boot mat being made in natural rubber the car mat itself is anti-slip on the vehicle interior, one of the main disadvantages to many bootliners. Because our product is designed for each specific vehicle the best fit was ensured with no modification required, unlike universal products. When using the dog guard divider, the boot mat has features offering improved safety with specialized mounting areas for the feet. 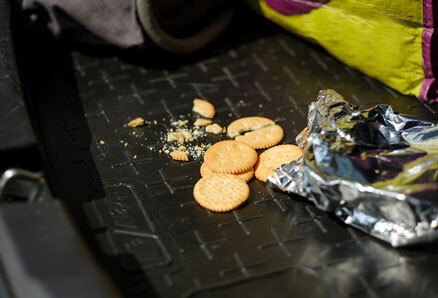 But the main advantage with the Travall boot mat liner is the unique raised lip offering anti-spill capabilities, particularly useful for a muddy and/or wet weather. An easy to use product for your vehicle that offers the best of both worlds by combining the advantage of the boot mat with a boot liner (a solid rubber, anti slip construction with the protective properties of the plastic moulded boot liner with retaining wall to minimize spillage). Designed to utilize the vehicle manufacturers existing fixings points in the boot without the need to cut or destroy the protection capability of the car mat. 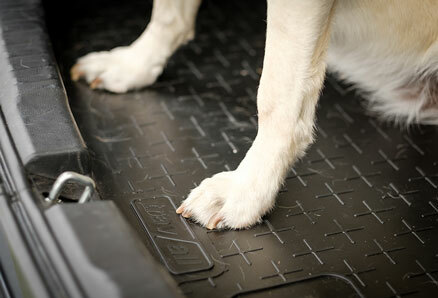 All of our boot mats have also been designed to work with the Travall dog guard and divider. A superior product to aftermarket products and a premium quality design. We believe this is the best product of its kind on the market.